As Trump fills the Fed rolls with Wall St. lapdogs who will ensure it continues to function as a big-bank-enabling liquidity spigot, it is in direct contradiction to his campaign complaints about its excessively accommodative policy. Richard Clarida, former George W. Bush Teasury official (then Pimco advisor), and Kansas bank commissioner Michelle Bowman could not possibly be better examples of “more of the same.”If there were any doubt before, the 14-year terms that Trump’s friends of too-big-to-fail lackeys will serve cement the reality: The Fed is deeper in Wall St.’s pocket than ever before. 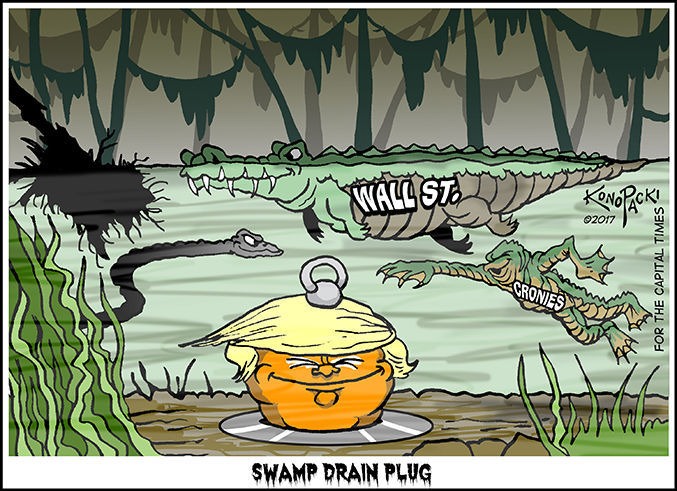 Wall Street has embraced Trump’s new Fed line-up because its members are so favorably disposed to loosening restrictions on financial institutions of every sort. Initially, the financial markets reflected concern that Chairman Powell might turn out to be a hawk on interest rates, meaning he’d raise them too quickly, but he’s proved to be anything but.